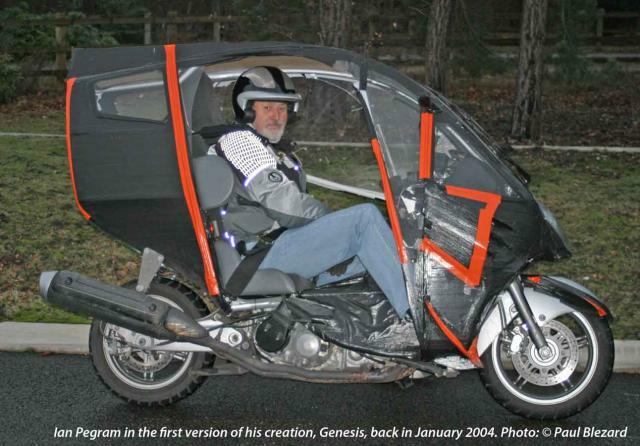 Ian Pegram in the first incarnation of his Genesis creation in January 2004. In this early version the wheelbase was still standard and, there was a 'half-door' on the left hand side. Koen Van der Kerckhove's new Burgman 650 project (September 2013) will be much closer to this version of Genesis, than the final Mk3 version, which has a wheelbase 20cms (8 inches) longer.